Review Snapshot: A number of seminal musicians emerged in the early 90s and died prematurely and where many of those musicians pushed the dynamics of their genres, Elliot Smith’s legacy was achieved via a house style that’s about as common as it gets: one man and his guitar. It’s now been seven years since the world lost something quietly elegant: a singer-songwriter gone before his time. This release is strongly recommended for those who have yet to pick at the surface of Elliot Smith. Full Review: Elliot Smith was one of the greatest songwriters of our era and for his dedicated fan-base, every album was the soundtrack to a new chapter in the singer's always troubled life. However this album offers nothing new for existing fans - nothing unreleased, nothing live and thought to be lost to the sound desk. Yet, as its title makes clear, this release is intended as an introduction to Elliot Smith and it can succeed in what it has set out to do: drawing in a new generation of fans that may one day find themselves in a record store reaching out for more Elliot Smith. Presented in no chronological order this collection focuses heavily on Smith’s earlier releases, his “hits” if you can call them that, and hosts some of his heavier, emotional tracks like 'Miss Misery' and 'Between the Bars': songs so personal, so engaging that some first time listeners may find them too heavy a load to handle. As is the way with an album such as this, 'An Introduction to…' will invite more familiar listeners to simply scrutinize what they might consider sins of omission, like I have. But that is not the point. 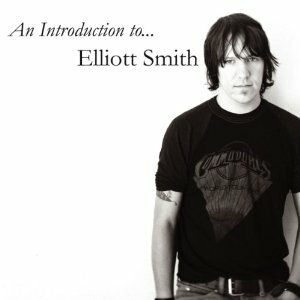 This is an opportunity for new ears to discover Elliot Smith, an opportunity for those new to his charms to scratch the surface of his work, to understand how conflicted he once sounded and experience his love of singing of a girl "who made her life a lie so she’d never have to know anyone". If you’ve yet to pick at the surface of Elliot Smith, get this album. For those who already have a few Elliot Smith releases in their collection, give this a miss and instead go listen to 'Figure 8'.